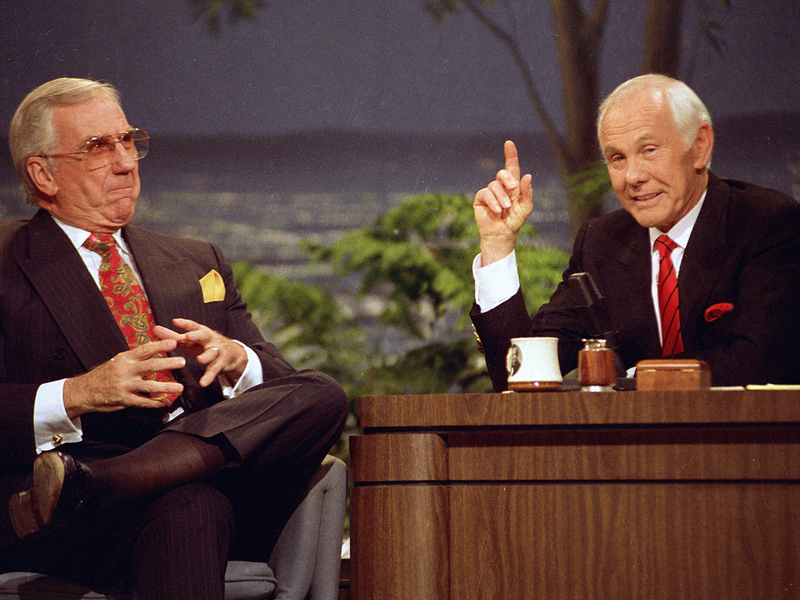 For the first time, content from "The Tonight Show Starring Johnny Carson" is available for digital download. A compilation edition (priced at $14.99) includes highlights from the 1960s through Carson's emotional farewell show and his memorable next-to-last show with guest Bette Midler, which aired in 1992. A second volume ($19.99) features 16 "Tonight" episodes with some of Carson's favorite guests, including Don Rickles, Jay Leno, Steve Martin, Jerry Seinfeld, Betty White, David Letterman and Ellen DeGeneres in one of her first TV appearances. In addition, a selection of 50 "Tonight"-derived alert tones (with such signature catchphrases as "Here's Johnny! ", "Hi-yo!" and "We'll be right back") will be available for 99 cents each. This online release follows the digitization of 4,500 hours of "Tonight" hosted by Carson during his 30-year run on NBC. Sotzing, a former "Tonight" producer (and Carson's nephew), drew on past experience assembling the "Tonight" anniversary shows in culling material for the new releases. "I have a pretty good sense of where the nuggets can be found," he said. "We go back and try to find things that are representative of what the show was and that are still entertaining." His dream: to put every show online for instant download. It's an achievable goal, he said, though a slew of legal clearances remain before it can happen. Meanwhile, visitors to iTunes can expect to find the current Carson content supplemented by more "Tonight" clips as often as each month, Sotzing said. "We just want to see how much demand there is for these first releases," he said.